Designed by Wells Coates (who created the revolutionarily Ekco Radio bakelite radio cabinets), this streamlined, 1930s Art Deco building once boasted its own restaurant and bank. After many years of neglect (and a long battle with landlords), individual tenants gained control over the building, forming a non profit management company called Bluestorm. 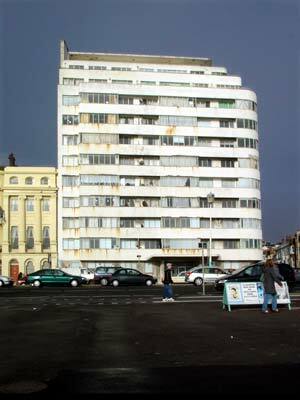 Style guru Sir Terence Conran has now been signed up to oversee restoration of this fine building.